Highlights of the Sky Bet Championship match between Birmingham and Burton. But Birmingham deservedly shared the spoils - for the first time in four Championship games against Burton - to boost their survival hopes. It was, nevertheless, a surprise to drop two points to struggling Burton following three successive wins. The ball often appeared to be attracted to the bright orange kit of Bywater as he continued to thwart the Blues. But even when he was beaten in the 25th minute in a hectic goalmouth scramble, Kyle McFadzean was on hand to clear Jota's close-range shot off the line. 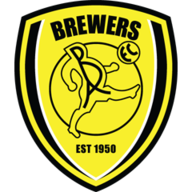 As Birmingham took their foot off the pedal Burton grafted their way back into the game with skipper John Brayford their main inspiration. Birmingham, who missed the industry of the suspended Che Adams, strived for an equaliser and David Davis clipped the crossbar in the 70th minute. But three minutes from time, Jutkiewicz was on hand to head home a right-wing cross from Boga. Garry Monk: "It was hugely frustrating as it was clearly the wrong decision. I knew at the time it was a goal and also watching it back I had the same opinion. The referee actually plays a fantastic advantage. Jota was fouled but the ball went to Jeremie Boga who was well onside. "So how the linesman came to that offside decision is quite baffling. In this of situation you need the linesman to be focused and he clearly wasn't. A perfectly good goal was disallowed. Had we been given that goal at such an early stage it would have been an entirely different result." Nigel Clough: "In the course of the game Birmingham deserved a goal. They hit the post, had one disallowed and created a lot of problems for us. When you get so close we were unable to see the game through to the end. It was not through lack of effort and the equaliser was a brilliant header. "We were under siege but we battled hard and could have won the game although I was disappointed with the way we played in the first half."